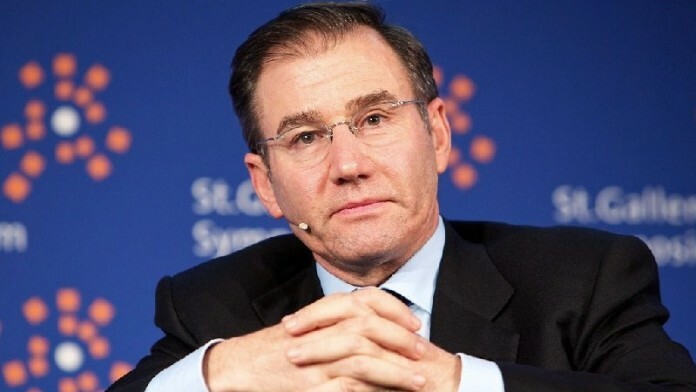 GLENCORE raised the prospect it could ‘top-up’ its recommended 20 US cents per share dividend distribution – a payout that beat consensus by more than 100% following an operating in performance in 2017 that moved CEO, Ivan Glasenberg, to describe it as the firm’s “… strongest on record”. “The cash is not going anywhere,” said Steve Kalmin, CFO of Glencore in a presentation to analysts today. “We are good stewards of that cash. The top-up is well and truly alive in August (at Glencore’s interim point). For now let’s lock in positioning around the structure. It’s only a matter of months,” he said. Glencore’s dividend policy as first unveiled in December 2016, allows for a $1bn base distribution from its marketing division and a discretional additional distribution of 25% from its industrial assets which, in the case of 2017, was increased to 36% of the firm’s industrial free cash flow, well above policy. Said Kalmin: “If we get below $10bn in net debt, it would trigger a move in increasing our payout ratios. It could be a 100% distribution. There is no cap here. There is a lot of surplus capital and so there’s a chance of looking to top up the 20c distribution target. August was always going to be a live date in terms of looking at distributions”. First, however, Glencore wanted to establish its credit rating at BBB whilst retaining net debt at no more than $16bn, said Kalmin. The fact, however, is that Glencore reduced net debt 31% to $10.7bn attracted criticism from on analyst that 20c/share was ‘stingy’. “Well speak to my CFO,” said Glasenberg in jocular vein. Glasenberg has an 8.4% stake in the £55.5bn ($77.5bn) business. Shares in Glencore gained nearly 3.5% in the first few hours of trading in London taking the share’s 12-month gains to 23%. Owing to an improvement in commodity prices, and cost performance, Glencore beat analyst expectations across a range of metrics. Earnings before interest, tax, depreciation and amortization improved 44% year-on-year to $14.8bn whilst net funding increased to $32.9bn, ahead of Barclays estimate of $28b. Barclays also remarked on the upbeat tone of Glencore’s guidance for the 2018 financial year with production unchanged “… while cost guidance in almost every division was lowered, driven by further operational cost focus and higher by-product credits”. Operating cash flows were also ahead of expectations in the 2017 financial year with funds from operating coming in at $11.6bn, it said. Glencore inevitably faced questions regarding its approach to proposed mining code changes in the Democratic Republic of Congo where it owns copper and cobalt mines. Glasenberg said he preferred a negotiated settlement, but that it was difficult to call. “From what we hear, he hasn’t signed it yet,” said Glasenberg referring to Congolese president, Joseph Kabila, who has been sent the new mining code for promulgation. According to Reuters, Kabila is thought to have until Thursday (February 22) to reject or sign into law proposed changes to the country’s mining code.